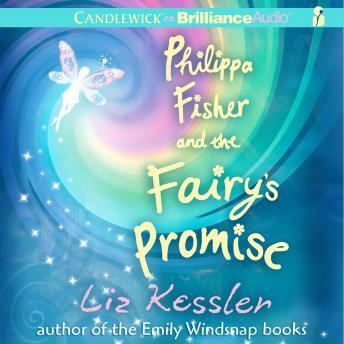 Philippa is excited to spend the winter break with her friend Robyn, but when a magic spell carved on a mysterious circle of rocks suddenly transports Philippa to fairy godmother headquarters, she learns that her own mother is in danger. To protect her mother from a serious accident, Philippa's fairy godsister, Daisy, has to pretend to be Philippa "Š- "Šmeanwhile Philippa is stuck pretending to be a fairy! And that's just the beginning of their adventure: after passing a harrowing test of their loyalty to each other, Philippa and Daisy undergo a fantastic journey to find a lost fairy whose job was to maintain a portal"Š -"Š one of the few openings left between the human and fairy worlds. With time running out, and all remaining links between humans and fairies at risk of being severed, Daisy finds herself facing an extraordinary choice that has the power to change her life forever.